Give used car buyers the confidence of a coast-to-coast warranty. Customers gain peace of mind. You gain future business. It's all in the name. Offer your customers a warranty backed by Integrity. With an affordable warranty for your car, Integrity gives you the peace of mind you need to travel the open road without worry. Industry-leading service contract options, for an industry-leading selection of vehicles. 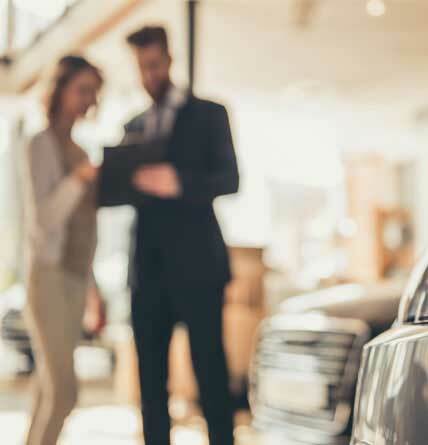 We help you provide value to every car buyer. Offer them an Integrity Warranty – and you'll be giving them peace of mind. Give them peace of mind, and they'll come back to you next time they're ready to buy a car. Basic coverage for vehicles up to 20 years old with up to 200,000 miles. Coverage for vehicles up to 20 years old with up to 200,000 miles. Coverage for vehicles up to 15 years old with up to 150,000 miles. Coverage for vehicles up to 10 years old with up to 80,000 miles. Coverage for vehicles up to 6 years old with up to 60,000 miles. We've owned used cars. We've driven some really nice ones. But, the fact is, no one can predict what potential problems may be down the road for any used car. They all eventually break down. Some don't last long, while others perform far beyond expectations. When you're selling a pre-owned car, the main selling point is confidence. You assure the customer that, if the car breaks down, the repair is covered. We provide that assurance. Our goal is to give each of your customers peace of mind, and to give you a tool for growth. Because, when you help them get the warranty they need for the cars they want, you win them as customers for life. Are you ready to offer your customers peace of mind and give them the confidence to buy a pre-owned vehicle? Become an Integrity Warranty partner. Armed with our service contract options, your sales team will be able to close more sales and earn higher customer satisfaction. We'd love to become part of your growth. Simply fill out the form on the right and we'll get in touch with you. The application process is quick and simple. We'll give you all the assets, training, and support you need once you're approved – so you can begin offering Integrity Warranty coverage to your customers immediately! Let us help you Provide Peace of Mind Nationwide to your customers. How Does Integrity Warranty Handle Claims? Integrity Warranty will let you use the repair facility of your choice. If you do not have a preferred facility, we can provide a recommendation. We take pride in handling your claim as fast as possible so that you can get back on the road! Simply present your Integrity Warranty contract to the service professional and have them contact our claims department. We cover parts and labor, and we pay via credit card over the phone so there is no delay waiting on checks in the mail before you can receive your vehicle. All of our service contracts include FREE roadside assistance, towing, battery service, flat tire assistance, emergency fluid delivery service, lock-out assistance, and car rental reimbursement for the duration of your service contract. Where Can I Purchase An Integrity Warranty Contract? Can I Transfer My Contract If I Sell My Car? Yes! One of the great values of an Integrity Warranty contract is that you can transfer the contract to another private purchaser of your vehicle. Vehicles with a service contract such as ours typically carry a much higher resale value because the buyer knows they are buying a vehicle that has protection against mechanical breakdown. What Cars Are Covered Under An Integrity Warranty? Integrity Warranty is proud to offer coverage on an industry-leading variety of vehicles. We have plans that cover everything from an Acura to an Aston Martin! To learn more, or simply to ask a question, feel free to contact us during normal business hours.